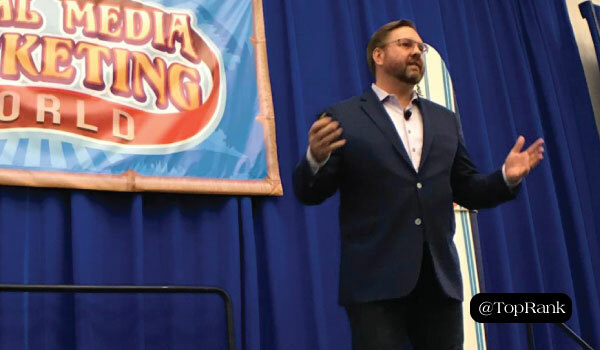 Earlier this year, Toprank Marketing released Influencer 2.0: The Future of Influencer Marketing. Lee offered four key insights from the report, and what each means for marketers looking to take their influencer marketing to the next level. What Is Influence? What Is Influencer Marketing? That definition alone should change the way you approach influencer marketing. It’s not about chasing the most famous person…it’s about the person who best can move their audience. There’s a lot to unpack in that sentence. First, influencer marketing means developing relationships, not isolated pieces of content or campaigns. Second, look for influencers in your company as well as outside of it. Third, you’re looking to create mutual value, value beyond compensation. Finally, influencer marketing can and should serve measurable business goals. One-Off Campaigns: Don’t activate influencers, have them contribute, then abandon them and start all over next time. Aim for sustainable relationships. Focusing on Celebrities: They may have a huge audience, but celebrities are hard to reach, expensive to activate, and their audience may not be the most relevant for you. Using Influencer Marketing for Ads Only: Our agency co-creates content with influencers–eBooks, blog posts, video. This type of content lets influencers go beyond endorsing your product or service to create something of real value. Only Doing Pay-to-Play: We’re not saying “never pay influencers.” But when you’re building relationships and co-creating cool stuff, you can have genuine mutual value without exchanging cash. Only Measuring Social Metrics: You can measure the business value of influencer marketing, not just engagement and brand lift. Start your program with these goals in mind and build tracking in. Influence 2.0 draws on the expertise of noted industry analyst Brian Solis, as well as over 100 experts from brands like Microsoft, Adobe, and SAP. Lee dove deep into the data to present these insights and the best practices they suggest. On average, companies have just 10% of their marketing budget allocated to influencer marketing. Half of the companies analyzed are investing less than $100,000 per year–which is a small slice of the pie for enterprise-level organizations. As interest in influencer marketing grows, however, the budgets are starting to grow. 55% plan on spending more money in the coming year. 70% of companies who already have an influencer marketing platform in place plan to increase their budgets. What to Do: It’s important to understand the opportunity for return on investment, Lee said. Think of what it will cost to implement a program versus the cost of losing access to the top influencers in your industry when the competition gets their first. Think about implementing programs, not projects. Long-term relationships create the most value for your spend. Fifty-five percent of B2C companies have an ongoing and integrated influencer marketing program. Only 15% of B2B marketers could say the same. Overall, 49% of B2B marketers say they’re still in the experimentation phase. What to do: B2B influencer marketing is a different animal than B2C. You’re not likely to get ahead by paying Youtube stars to pose with your cloud-based network solution. Start by engaging expert help to research the market, identify influencers, and develop a plan tied to ROI. It also makes sense to invest in technology. It’s hard to start a sustainable program with a spreadsheet. Influencer marketing platforms can help you identify, qualify, and engage with influencers, as well as help with measurement and optimization. To kick off your program, start by activating your clients. Start with people who already advocate for your company, invite them to co-create content, and scale up the content that performs best. Brand advocacy and awareness were at the top of respondents’ minds, with 94% and 92% respectively saying these were the top goals. 88% said reaching new audience was a top goal as well. Sales conversion and lead generation were still in the top ten, but trailed with 74% and 67%. These results demonstrate that any marketers aren’t aware of influencer marketing’s potential for lower-funnel goals. What to Do: Keep ROI-proving business goals in mind when designing your program. Make sure to align brand and influencer goals, too–when you have alignment with influencers, it’s easier to inspire organic participation. When we asked in which areas has influencer marketing made the biggest difference for marketers, 80% of respondents said content marketing, and 75% said social media marketing. These two are definitely the biggest opportunities; in fact, Lee said companies who aren’t using influencers in these areas are at a disadvantage. What to Do: Social media and content marketing are the baseline. Beyond that, make your program more sophisticated by integrating it across the organization. Look for internal influencers in your marketing, PR, customer success, community management, and HR departments. Externally, look to industry thought leaders, your own customers, and journalists to round out your program. It’s easy to get started with influencer marketing. From the first stage, you can gradually grow your efforts to a sustained long-term program built on strong relationships. Lee identified three levels of influencer engagement. These are additive, not exclusive–we currently use all three at TopRank Marketing. Microcontent: Short-form content used as a “seasoning” for brand-created content. Think quotes, tips, and insights from influencers added to your brand assets. Microcontent can include influencer outreach or simply be curated from external sources. Campaigns: A campaign includes longer-form contributions directly from the influencer, like an interview for an eBook. You’re asking the influencer to co-create content, which you can repurpose–eBook to blog post to social media images with quotes, for example. Community: The ultimate goal for a sustainable program is a dedicated group of influencers that contribute a variety of short and long form content for brand communications. These are people who have relationships with your brand and your people, who co-create content motivated by shared goals to realize mutual value. As Lee says, everyone is influential about something. Regardless of your industry, it’s high time to find and activate the people who can make a difference with your audience. Make an investment, make a commitment, and start building relationships that can lead to a long-lasting program. For the full report from TopRank Marketing, Traackr, and Altimeter Group, read Influence 2.0: The Future of Influencer Marketing.